The Moroccan authorities have spent decades imprisoning Saharawis who support self-determination in the Occupied Territories of Western Sahara. They then send detainees to prisons in Morocco, thus depriving them of their basic rights such as family visits, medical attention and opportunities to study.Last week, some of the many families affected by this situation went to the office of the General Administration of Prisoners and Rehabilitation in the Kingdom of Morocco in Rabat to draw attention to this matter with regard their loved ones. They expressed their anger that 19 political prisoners, a group of Saharawi activists known as the Gdeim Izik Group, had been moved to different prisons in Morocco on 16 September (LINK). This move happened without any pre-warning, either to the prisoners or to their families. The families took part in protests against this move for an entire week. “We have been here in a peaceful sit-in for a whole week and despite having met with those responsible for the administration, the conditions for our family members who are in prison have not improved at all. Today we were shocked that some 200 police and auxiliary forces officers, both uniformed and plain-clothes, were sent by the authorities to attack us and break up our peaceful sit-in”, commented one of the participants. On Monday last week, the protesters (including family members and human rights activists) were violently attacked and many were badly injured. Several, who lost consciousness due to blows to the head, were taken to hospital, including the RASD-TV correspondent Salha Boutanguiza. The attacks show a premeditated policy of violent repression of any form of dissent against Moroccan policies directed towards the Saharawi population, including the suffering of political prisoners in Moroccan prisons (see video). “The conditions that Saharawi political prisoners are enduring are difficult and inhumane, which has led many prisoners to begin open hunger strike and others who have given 48 hours’ notice that they will continue with a hunger strike if their rights are not respected”, explained the spokesperson for the Committee of the Families of Saharawi Political Prisoners. “The Moroccan Prison Authorities must assume full responsibility for the physical and psychological consequences of the suffering the Saharawi political prisoners are enduring from the terrible conditions in which they are living”, he also told us. By arbitrarily moving prisoners to prisons in Morocco, the government is forcing families to travel between eight and twenty-one hours to visit their loved ones. This is not only cruel but goes against international law and all the conventions to which an occupying power must adhere. These conventions oblige Morocco to imprison all detainees from Western Sahara in prisons in the Occupied Territories and ensure that living conditions meet international standards. 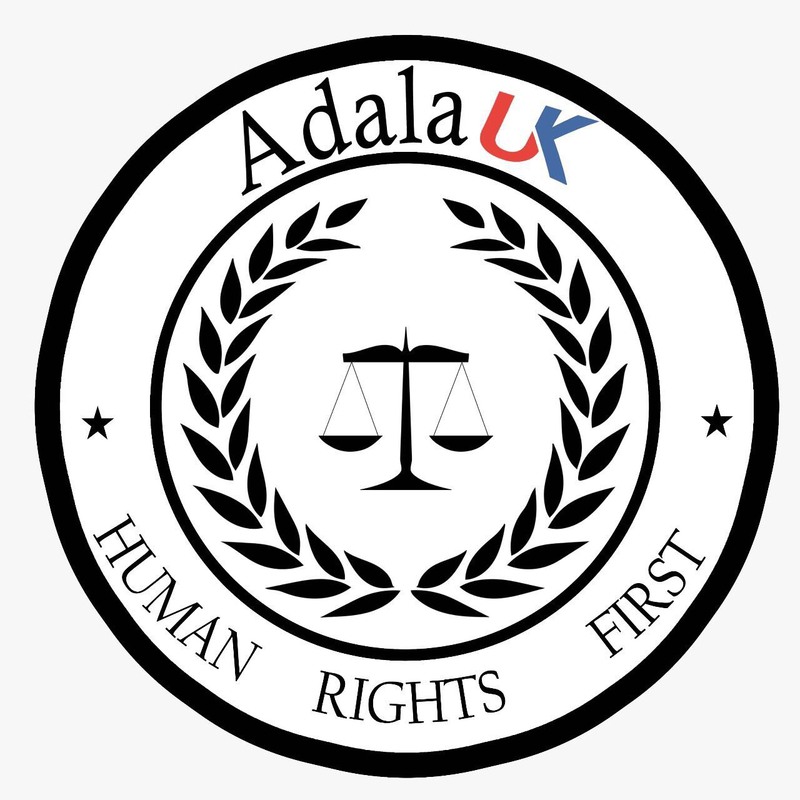 In the last three weeks, Adala UK has documented how the Moroccan security forces have violently attacked all protesters to prevent further peaceful protests in solidarity with the 19 political prisoners from taking place. The facts speak for themselves: this is not just a disproportionate reaction but a premeditated practice to use violence to prevent voices critical of the Moroccan government and its policies against the Saharawi population from being heard. Excessive force is being used by the Moroccan forces throughout different cities in Western Sahara against peaceful protesters. (See Link). 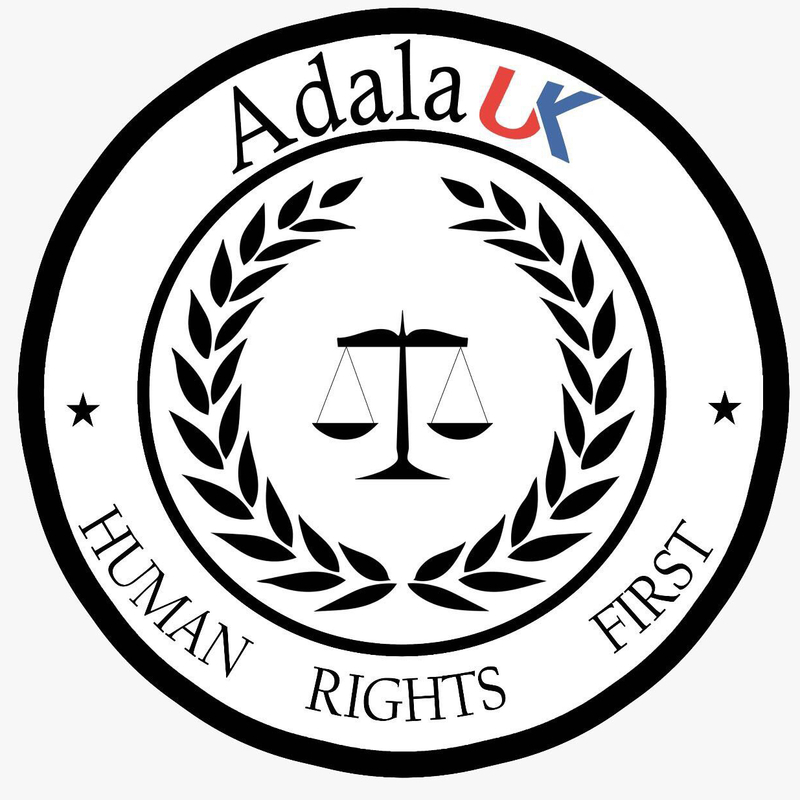 Adala UK has also documented attacks against people who are not protesting in the described demonstrations. These attacks have taken the form of driving directly at people in the streets in their armoured vehicles. This endangers the lives of many others who are in the street at the same time. Security forces hurl stones at people’s doors and windows and try to kick them in. 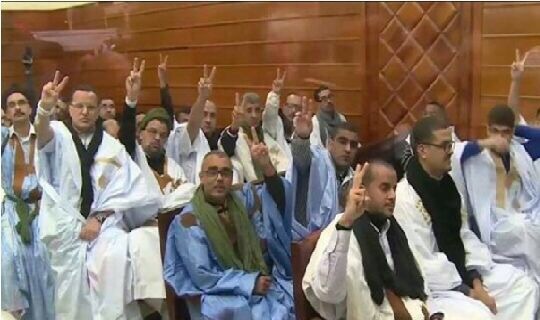 Adala UK activists note that the Moroccan authorities defend the use of force by pointing out how the Saharawis incite hatred and violence, claiming that they are “traitors who work for foreign agents”. It is imperative that the Moroccan government allows the Saharawi population to exert their rights, above all their right to self-determination, as recognised by the UN and the international community and that they immediately bring an end to their policies of violently repressing hundreds of people in the Occupied Territories, something which is currently a daily occurrence.